The Ace and Lion group of artists is setting up in a shop on Caledonian Road just south of the railway bridge. 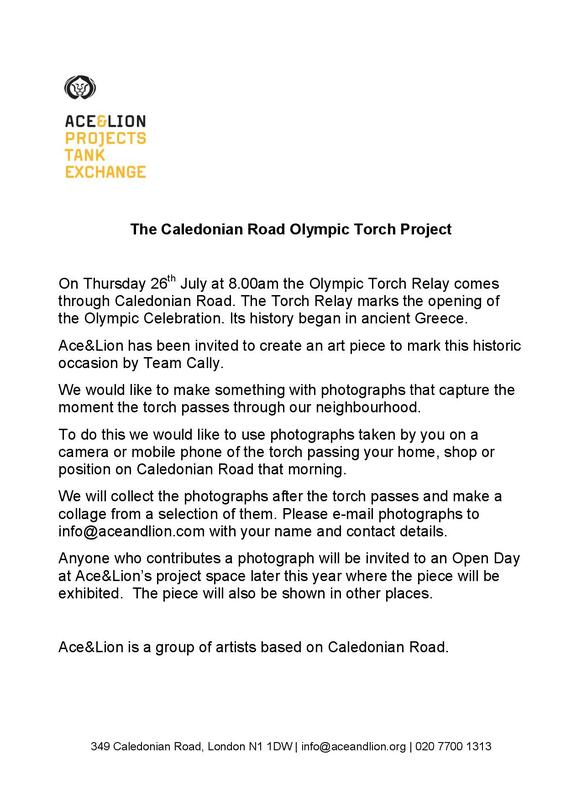 Team Cally has asked it to make a picture of the Olympic Torch Relay from local photographs. Photographs should be sent to info@aceandlion.org, not info@aceandlion.com (contrary to what the advertisement above says). The route of the Relay, and the bearers of the Torch, are identified here. 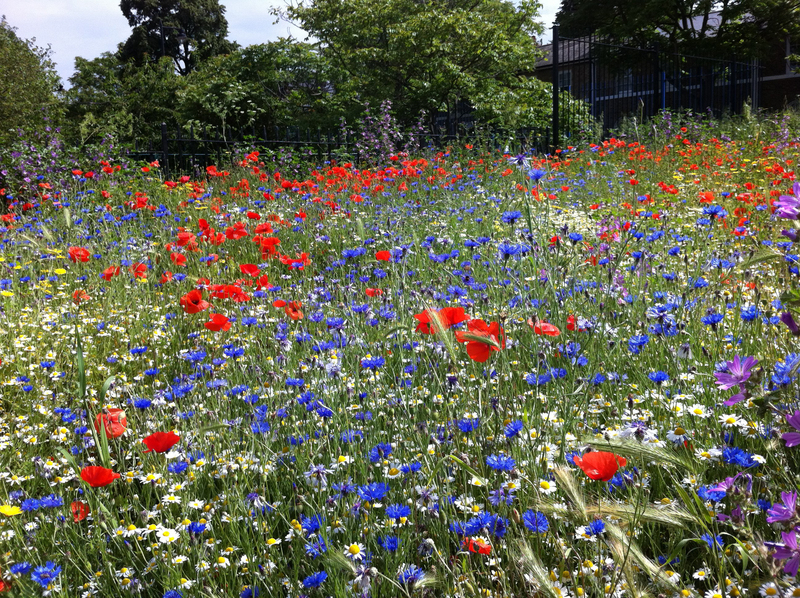 The wild flower meadow in Barnard Park is at its best for the next week or so. To see it, walk into the grassy area. 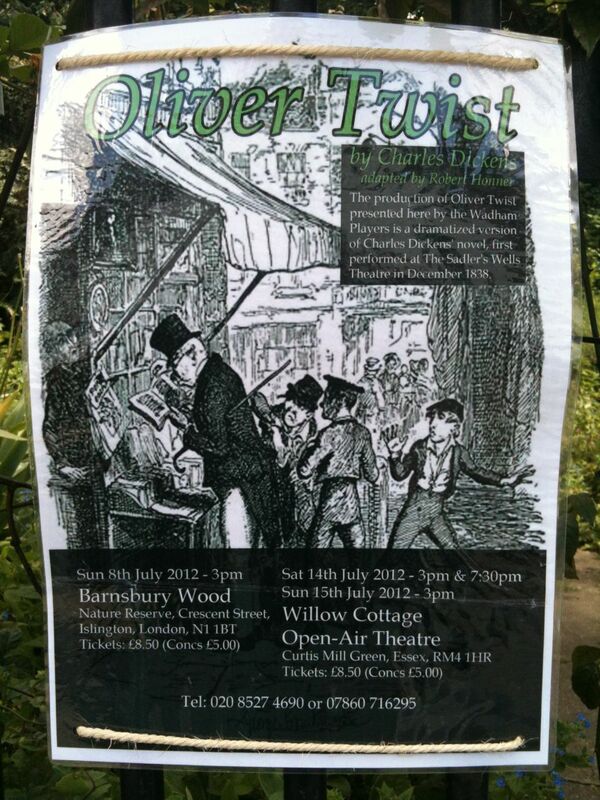 Thanks to Anna McKane for this picture.